PT Waskita Karya (Persero) Tbk - Waskita is a public-listed state-owned company (listed on Indonesia Stock Exchane under IDX code WSKT) in Indonesia which conduct business activity in construction industry. Its business include building, infrastructure investment, EPC, precast and realty. Waskita is based in Jakarta and is majority owned by the Government of Indonesia As today, Waskita is 68% owned by the Government of Indonesia 32% remaining shares by investor and public shareholders. Waskita was formed in 1961, and within 55 years has established itself as the leading general construction firm in Indonesia, with 30 domestic branches and 4 overseas branch offices (Uni Emirat Arab, Saudi Arabia, Malaysia and Timor Leste). The state-owned construction company also supported by 7 subsidiaries/joint operation companies; PT Waskita Karya Realty, PT Waskita Beton Precast, PT Waskita Toll Road, PT Citra Waspphoutowa, PT Waskita Sangir Energy, PT Prima Multi Terminal, and PT Jasamarga Kualanamu. According to PT Waskita Karya (Persero) Tbk Annual Report 2015 as cited by JobsCDC.com, PT Waskita Karya (Persero) Tbk closed the business year of 2015 with a positive result. Total revenue ncreased by 37.58% year-on-year to Rp 14,152.75 billion from Rp 10,286.81 billion in 2014. While net income surged by 104.78% to Rp 1,047.59 billion from Rp 511.57 billion in 2014. 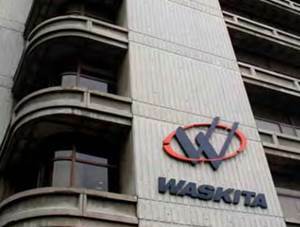 Waskita's total assets in 2015 amounted to Rp 30,309.11 billion. This reflected an 141.66% increase from Rp 12,542.04 billion in 2014. Background in Vocational High School (SMK/STM) in Mechanical Engineering. Have a good integrity and loyalty. Mastering in the related science / duties. Willing to be placed in all working area of Waskita Divisi I spread across Indonesia. JobsCDC.com now available on android device. Download now on Google Play here. Please be aware of recruitment fraud. The entire stage of this selection process is free of charge. PT Waskita Karya (Persero) Tbk - Fresh Graduate, Experienced Operator Waskita September 2016 will never ask for fees or upfront payments for any purposes during the recruitment process such as transportation and accommodation.